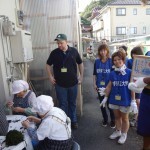 Six American students from Ohio University (OHIO) studying in Japan alongside several Japanese students from four universities (Chubu University, Musashi University, Toyo Gakuen University, Iwate Prefectural University, and four OHIO alumni gathered in Iwate prefecture for a collaborative volunteer experience to provide humanitarian aid and support to those affected by the March 2011 earthquake and tsunami from September 26-29, 2013. 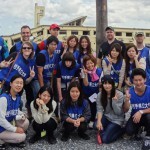 Over the course of the weekend, this group took part in two types of volunteer tsunami relief activities – the Nanohana Project in Otsuchi, and the “Mizubora” (Water Volunteerism) Project in Rikuzentakata. 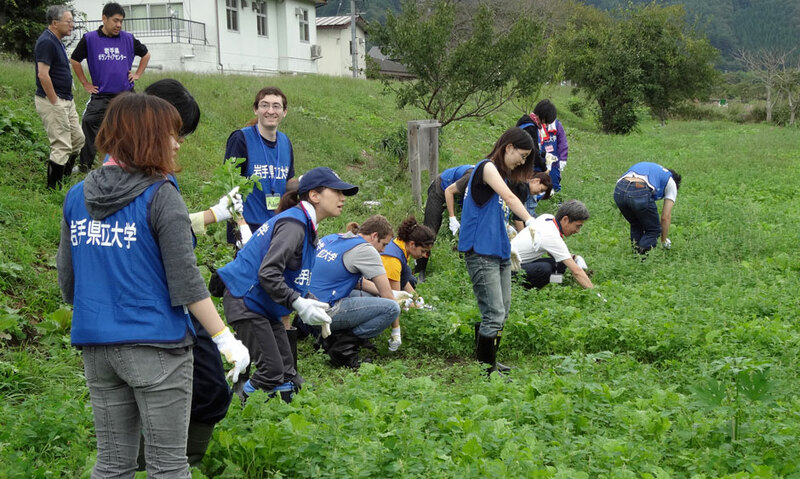 The Nanohana Project seeds rice paddies in Otsuchi that were washed-out and became too salty to grow rice, by the tsunami that followed the Great East Japan Earthquake. 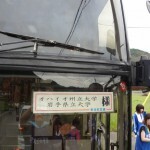 Nanohana (Canola) not only helps to desalinate the soil, but can be processed into biodiesel. 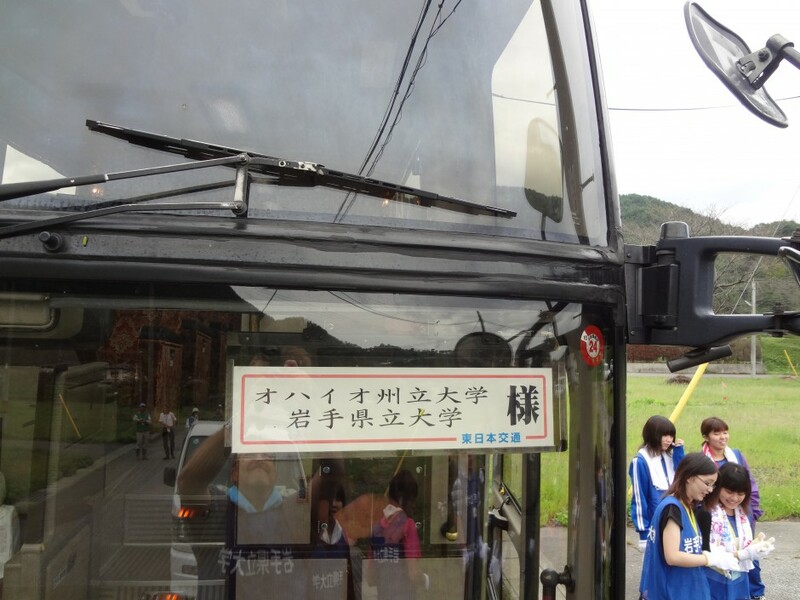 Kanayama Bunzo, a former truck driver coordinating this project, has two “yume” (dreams): 1) To be able to make rice paddies usable again, and 2) to run Otsuchi school buses on biodiesel in the future. 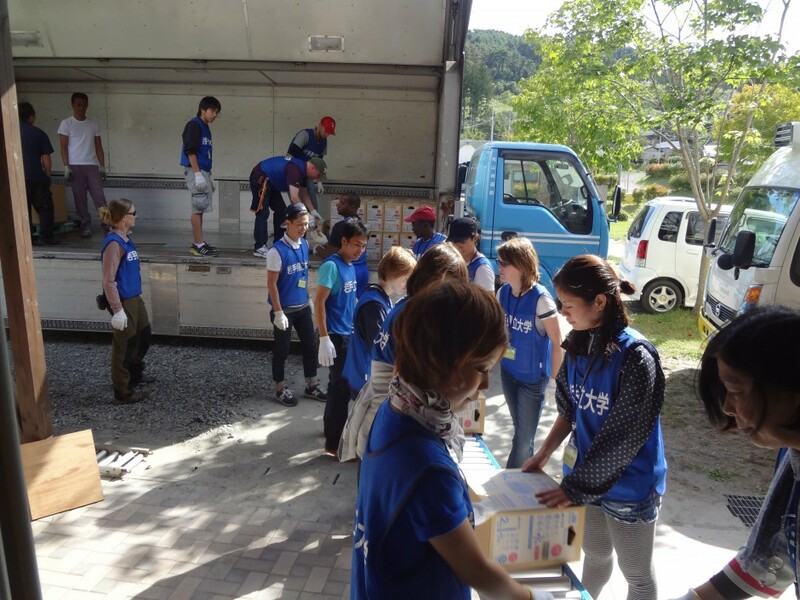 For the “Mizubora” project, the American and Japanese participants joined ten students from Ofunato High School and 65 international college and graduate students in delivering over 800 boxes of water to neighborhoods on the coast of the Hirota Peninsula of Rikuzentakata. 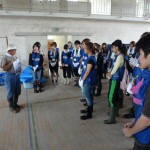 Two-and-a-half years after the Great East Japan Earthquake, the purpose of delivering water, was not the water itself, but in maintaining the human relationships that have been built over the past two-and-a-half years between IPU, which has been, delivering water at least once a month since the day of the Great East Japan Earthquake in 2011. 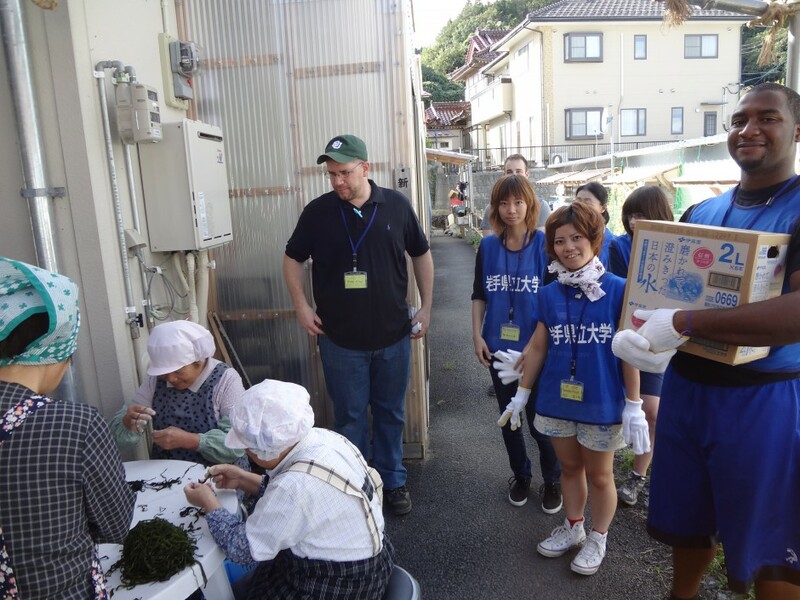 Through this program, the groups of students from Ohio University were able to experience a unique form of international volunteerism. 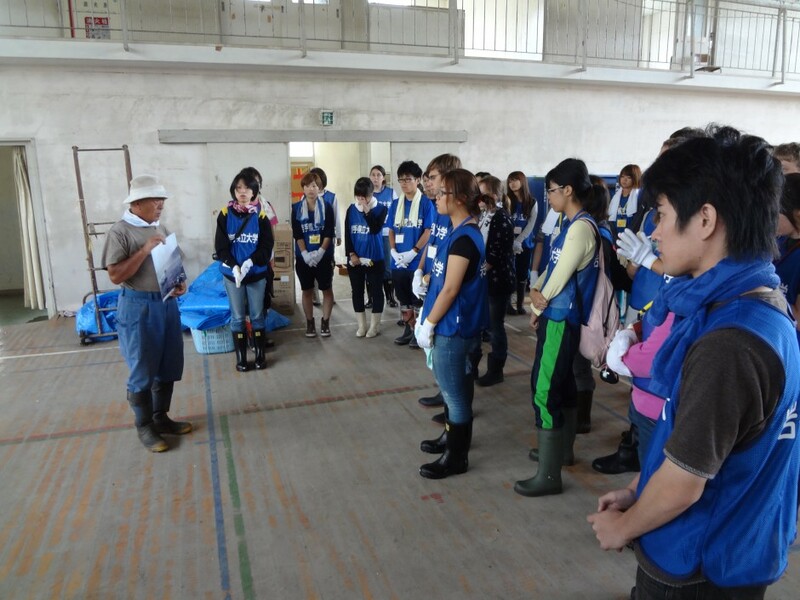 Not only did they learn about the current situation in the Tohoku region, but they also were exposed to creative processes the locals had come up with to reverse the damage the Great East Japan Earthquake had caused. This grant allowed the Ohio students to continue a program that had emerged immediately after the earthquake, as this was the third year of this volunteer project program.